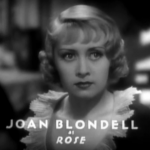 Rose Lawerence (Blondell) plays a prostitute who decides to marry a kindly sailor named Nick (Jory). 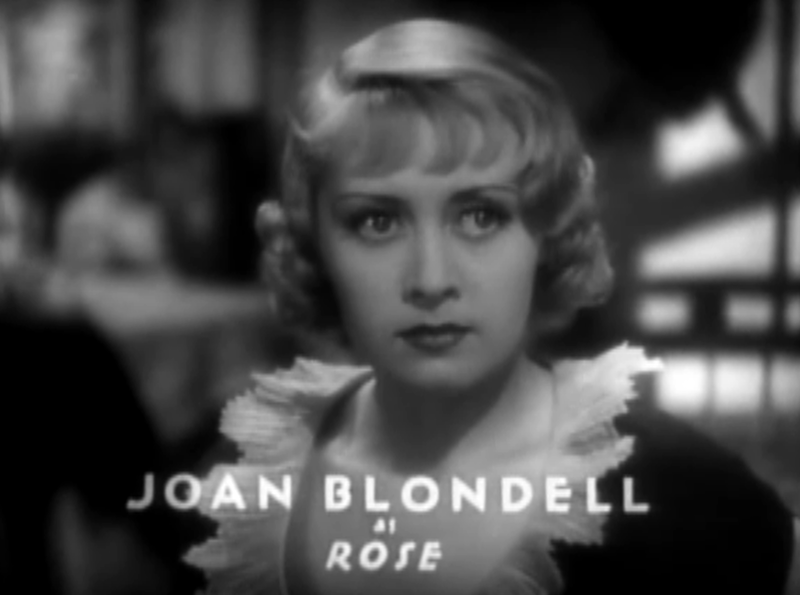 Because Blondell’s character is clearly a prostitute (who may or may not sleep with Cagney’s character at several points in the picture), the movie ran into censorship issues. It’s a raw connection to his emotions that I love to see when I watch a Cagney flick. 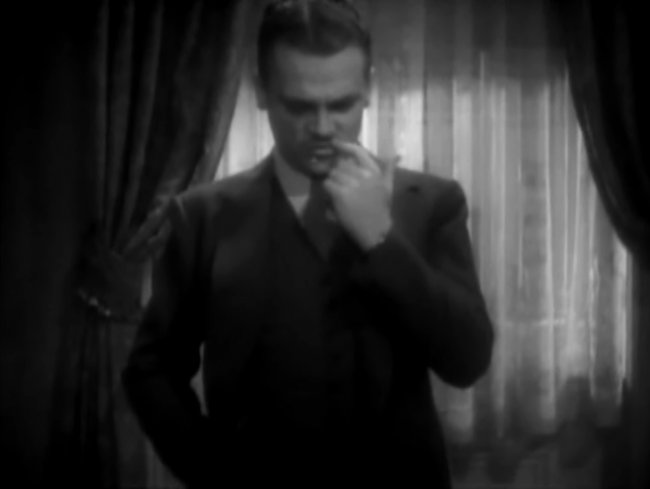 While He Was Her Man may be kind of a dud, Cagney, despite a poorly advised mustache, brings a genuine, quiet anger as he portrays a man whose life was deferred and destroyed for reasons out of his control. He has integrity, and that may be all. The movie is Cagney’s last film of the pre-Code era and is a gangster melodrama, but instead of the intensity and anger of The Public Enemy, he’s functioning on pensiveness. He plays Flicker Hayes, a safe cracker who turns stool pigeon to get revenge on a couple of guys who betrayed him and sent him up the river for a stretch. The mob learns that he was behind the raid and plans to track him down. Flicker flees the east coast and winds up in San Francisco. There he meets reformed prostitute Rose (Blondell) who is planning to head down the coast of California to a Portuguese fishing village. There she’ll be marrying a kindhearted but dull emigre who doesn’t care about her past. Flicker tags along with her both to find a quiet place to hide out and because he definitely has developed a thing for Rose along the way, though she’s not so sure if the sentiments are shared. It’s a pretty slow, dramatic slog– no wisecracks or antics from Cagney or Blondell here, just a straight drama. It’s about two people with a smudge of darkness on their souls that try to negotiate just what they want out of life in a unrelentingly hostile environment. Lots of steely eyed discussions, romantic longing, and the downbeat of realities. 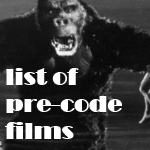 It’s a Depression Era film through and through, as two people come to grips with the consequences of their actions and must accept reality over their desires. As nice as those kisses and longings are, they’re victims of their own choices and there’s no going back. 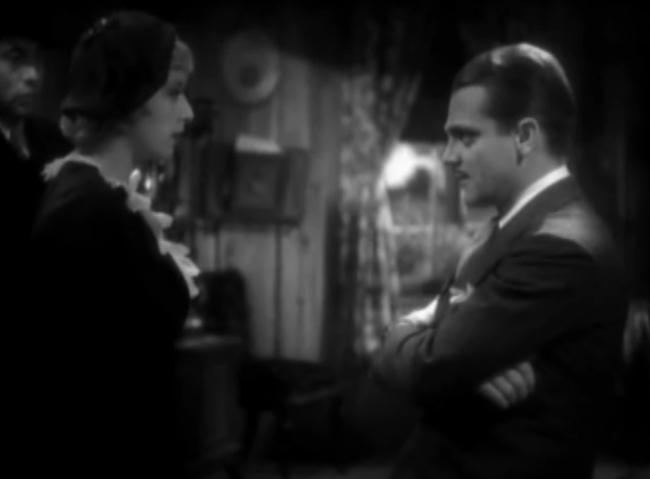 He Was Her Man does show off Cagney and Blondell’s dramatic chops and showcases how far sound films had come in 7 years since Don Juan premiered. 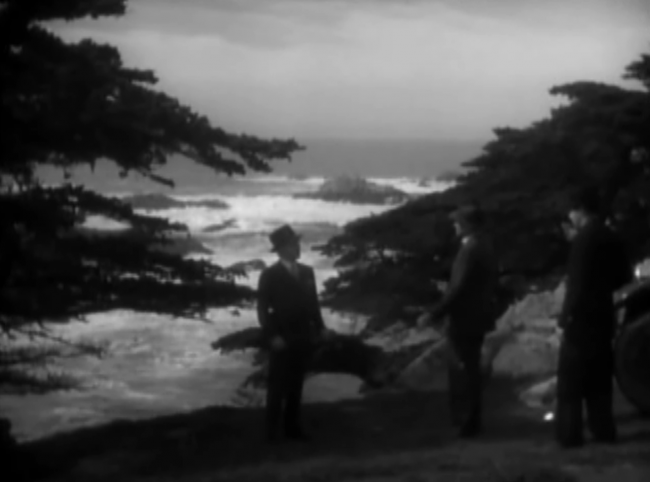 Shot in Monterey, California, the movie feels completely different than many of the backlot-bound productions that the two stars were usually stuck in. It gives the film a richer, looser feeling, but it also adds to the sombre tone, as the world feels very immediate and real. A lot of films like this– for example, The Purchase Price— are about the pleasures of the simplicity of rural life, but He Was Her Man never take that rosy view. Nothing seems preferable here, as life is long and hard even for the fishermen that Rose and Flicker take refuge with. The small town people are a bit more forgiving… but it feels like the movie just views them as naive. There’s no relief in small town life or values, as even a wedding is just a break from a more trudging work. That may be my biggest fault with the movie, as it’s plot is predictable and its nihilistic tone is hard to take. 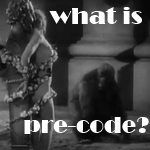 If you want an example of the skill of Warner Brothers and its evolution, both in trying to tell mature stories about the Depression and life, this is a good example, especially since its take on redemption (and use of sympathetic prostitutes and gangsters) would soon be banned under the code. But it still feels like a wasted opportunity, with Cagney and Blondell treated to such wooden characters that their charisma is nullified. If you want to read more about Cagney and the other films he made during this era, feel free to check out my Cagney page. 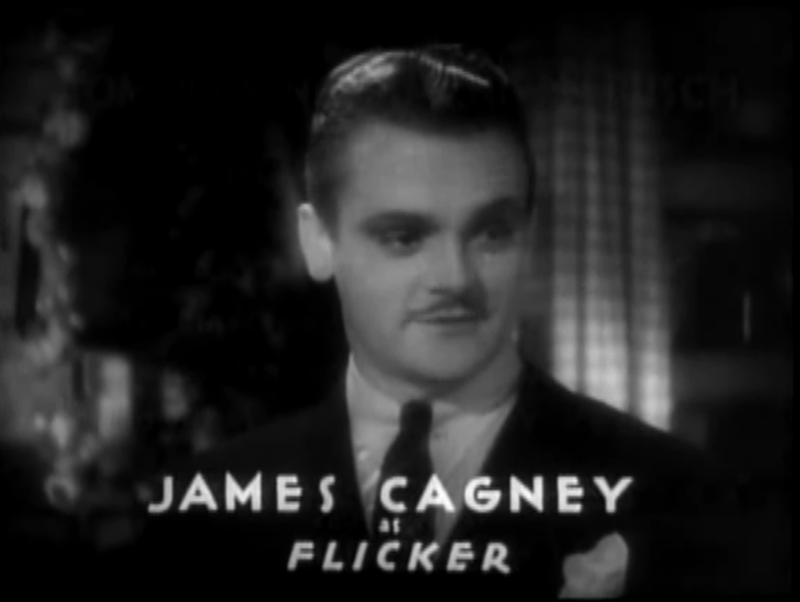 Cagney had a long career ahead of him, though his immediate future was laced with disputes with Warner Brothers and their labyrinthine contract system. He’d constantly battle them for better pay and better conditions, and they always acquiesced as he was one of their biggest stars and moneymakers. Besides the aforementioned Yankee Doodle Dandy, which netted Cagney a Best Actor Oscar, his other films through the next few decades would include gangster film deconstructions like Angels With Dirty Faces and White Heat. But he didn’t pigeonhole himself, also appearing in comedies like Billy Wilder’s great One, Two, Three, musicals like The West Point Story, and even a Western called The Oklahoma Kid. Cagney was, as the cliche goes, a true original. A poor kid growing up on the streets of New York, he was the product of tough streets and developed a determined sense of playfulness that made him a force to be reckoned with. Whether people think of him as the snarling hood smashing a grapefruit into Mae Clarke’s face, the tap dancer letting loose to the tune of “Shanghai ‘Lil”, or a smart aleck flirting with Joan Blondell (often badly), he was a loose canon that became a star on his own terms. His pre-Code films are vastly different in quality, tone, and theme, but Cagney’s versatility made them all watchable– and he is one of the defining stars of the sound era because of it. The seventh and final film collaboration between James Cagney and Joan Blondell following (deep breath) Sinner’s Holiday, Other Men’s Women, The Public Enemy, Blonde Crazy, The Crowd Roars, and Footlight Parade. Condemned by the Catholic legion of decency and not reissued after the full enforcement of the Production Code in July 1934. Mordaunt Hall in the Times is pretty buzzed on it. 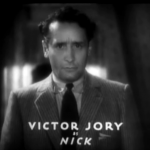 The Acidemic Journal sounds pretty indifferent to this one, but talk about Victor Jory’s ability to play a convincing sap. Believe it or not, the big surprise here is Victor Jory as the chump, the kind of guy usually played by Edward G. Robinson or Ralph Bellamy. Jory might not be as good an actor as those guys, but he does have a deep voice, a looming height, the stoic poise of a stock company Sitting Bull, and gravitas that belies his then-lean years. He might have a bizarre accent and mangled fisherman syntax but he’s no rube. Cagney and Joan might talk faster and hustle more but Jory’s tortoise wins the race. 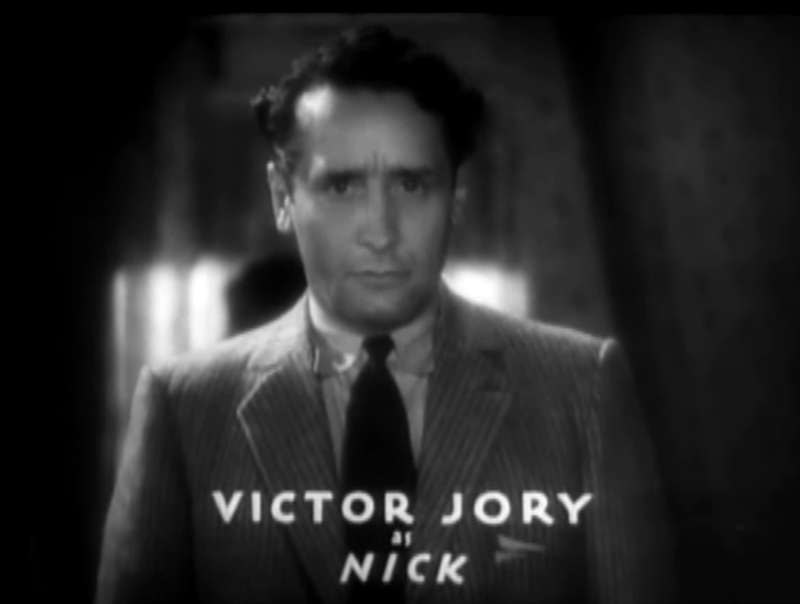 Providing strong support in He Was Her Man was Victor Jory, who had moved into character roles after being unsuccessfully groomed for stardom at Fox (where, admittedly, he played leading roles primarily in low-budget films). Jory’s role as the decent fisherman who almost loses Blondell to Cagney was different from the more villainous roles, like Jonas Wilkerson in Gone with the Wind (1939), for which he would be best remembered. Despite juicy roles like Wilkerson and Oberon in Warner’s all-star A Midsummer Night’s Dream (1935), he would find his best opportunities on stage. Directed by Warner’s studio director Lloyd Bacon, the film lacks the kind of action most folks expect from a Warner’s gangster film. Its countryside by the seas location instead of the big city is also a change of pace from what is generally expected. While this is not a must see, it is worth a look and Cagney and Blondell completist will be pleased. Some time — New Year’s Eve? — I’d like to see a post from you about this overall project, how you see it, and how your perceptions have changed from the first posts. Your writing skill has definitely increased, and your insight about movies has grown. I agree with Elizabeth Penrose! It would be a neat little retrospective – especially since you cite The Purchase Price here and mentioned the other day that you think your opinion might be different than it was when you first saw it,a t the beginning of this blog. Also, you mention The Oklahoma Kid as Cagney’s Western. When I finally saw it a few months ago, what struck me was how it hit all the notes of most of the gangster films I’d seen, just set in Oklahoma. It was a lot more interesting and watchable than most of the other Westerns I’ve seen (at least until the late 60s), perhaps because of that. It’s almost a shame that they kept Cagney typecast like that, instead of letting him explore other Western roles, like they did with his tap-dancing stuff. 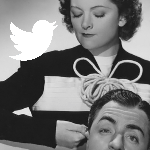 The blog’s 3rd anniversary is coming up in October, so that may not be a bad idea. I’ll write it down and see if anything comes of it– most of my non-review stuff either ends up going into a different page on the site or I just feel it’s not the most pleasant thing in the world and shelve it. Maybe this’ll be different. It’s a while since I saw this one, but I remember feeling rather lukewarm about it and thinking the role didn’t give Cagney enough scope – although, if memory serves, I thought it was quite a good role for Blondell and gave her a chance to show more of her dramatic talent. And yeah, not much wisecracking. He Was Her Man is actually a lot of Cagney capital-A Acting, and I’m not really sure that’s what anyone really wanted out of him. 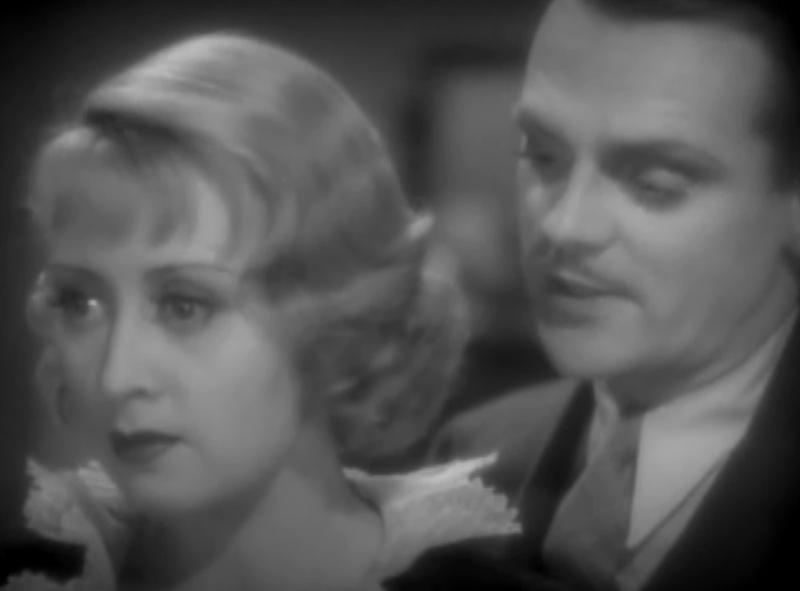 Blondell does also get to act, but her part is less showy– and I think the part itself is kind of built on a conflict between happiness and past failures that never really crystallizes because she doesn’t really get to make her final choice: Cagney does it for her. I think it’s an interesting idea for the movie, and made with a genuine sense of frustration at an undeniably cold world, but it doesn’t really become satisfying. 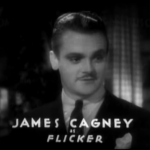 I understand Cagney would grow the mustache when he was particularly annoyed at Jack Warner. Jack hated it, and to get his goat, Cagney would refuse to shave it. Ha! This is one of my favorite pieces of trivia now. Thanks!